Former President John Mahama has called on President Nana Addo Dankwa Akufo-Addo to apologise to Ghanaians for deceiving them. His comments come at the back of the latter who said his government will keep borrowing money to put up projects he described as “assets” to pay back those loans. He said there is no contradiction between Ghana Beyond Aid agenda and the government borrowing. He emphasized that there is nothing wrong with borrowing. 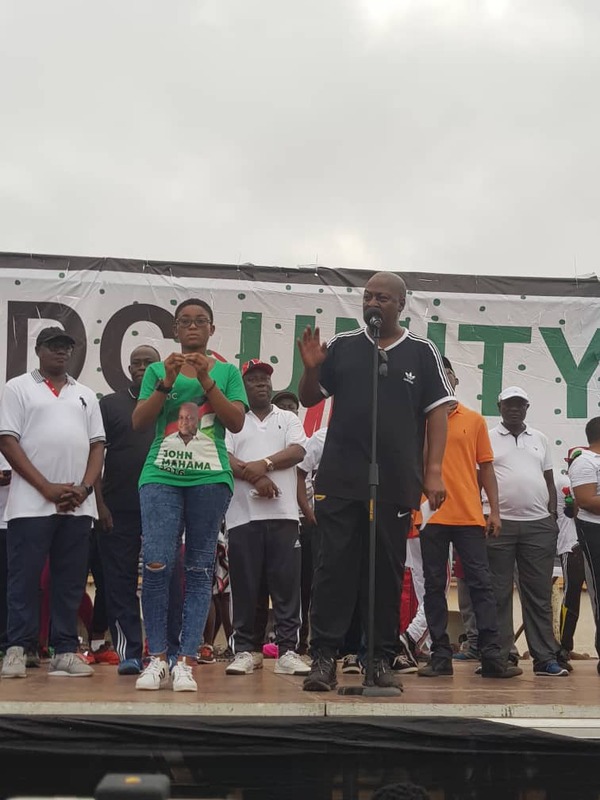 Mahama, addressing delegates of the Trobu constituency as part of his five-day campaign tour of the Greater Accra Region, he advised the NPP government to stop the hypocrisy. “So, when Ghanaians are criticising you today, it is because of what you said in the past, it is the hypocrisy that Ghanaians are angry with, and we’ve all your quotations about borrowing. You said: ‘Any idiot can borrow’. That’s what you said. And said: ‘The money is here, we don’t need to borrow to develop Ghana’. And today, if you have turned around and you see that you can borrow and invest in assets, you have to apologise to Ghanaians, and say: ‘We are sorry, we didn’t know, now we know, we’ll borrow’. “But when you behave as if we are idiots, we don’t remember what you said and you say: ‘We’ll borrow because even the U.S.A is borrowing, of course, U.S. is borrowing, and so what? So, it is the hypocrisy of this government that is annoying Ghanaians and not that we don’t understand that you must borrow but you must not also over-borrow,” he stressed.